If you get the “Connection Failed” error message, be sure to try these fixes before submitting a support ticket. 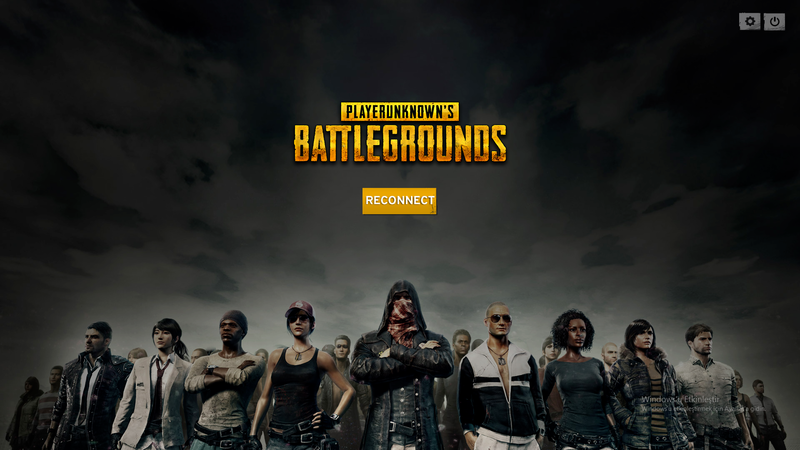 After the most recent PlayerUnknown’s Battlegrounds update, several players began to experience connectivity issues, namely loading into a “Connection Failed” screen. Naturally, this prompted the community to seek out remedies until the developers could resolve the issue. Several helpful solutions were presented, and we’ve compiled them all together in order to help you get back into the game. Before you send in a support ticket, here’s how you can troubleshoot and fix connection issues in PlayerUnknown’s Battlegrounds. A look at how you can troubleshoot connection issues in PlayerUnknown's Battlegrounds. The biggest issue players are experiencing right now is the “Connection Failed” error message (or some other variation of this). Part of the reason why you’re experiencing this issue is due to the latest Battlegrounds patch. However, if you continue to have problems after the developers patch things up, you may want to run through the following steps. When it comes to resolving connectivity issues in PlayerUnknown’s Battlegrounds, the easiest fix is to simply restart your computer. While this may seem like common knowledge, one of the biggest culprits behind the “Connection Failed” error message is the game’s recent update. If you haven’t restarted after the game downloaded the update, you’ll want to try this method first. Aside from restarting your PC, you can also restart your router or modem by plugging a hardline into the modem from your computer. This may help when a limiting factor from your router is at play. Also be sure to check and see if your firmware is up to date. Another solution is to ensure your game files are present and in proper working order. To do this, head to Steam, right-click on PlayerUnknown’s Battlegrounds, and then click on the Properties tab followed by the Local Files tab. There, you’ll find a button that reads, “Verify Integrity of Game Files.” If something is out of place, that could be the source of your connectivity issues. If no, proceed on to the next option. With the basics out of the way, we’ll dive into a few more hard-hitting methods. If you have a gut feeling your Battlegrounds “Connection Failed” error is tied to Steam, you can try running Steam as an administrator. To do this, follow the path “C:\Program Files (x86)\Steam” and then right-click on “Steam.exe” and select “Run as Administrator. The same technique applies to the PlayerUnknown Battlegrounds game file itself. If you want to run Battlegrounds as an admin, you can head to “C:\Program Files (x86)\Steam\steamapps\common\TsIGame\Binaries\Win64” and opt to run as admin. Note that this may not work if you have your games split onto another Drive. If you’ve had trouble with Windows Defender in the past, you may be able to troubleshoot your connection issues in Battlegrounds by disabling it. To disable Windows Defender, head to the start menu and find the “Windows System” tab. Next, select and expand it before mousing over “Windows Defender” to launch the program. Once the window pops up, be sure to hit “Turn Off” to ensure Windows Defender is disabled. Similar to the suggestion above, you can also troubleshoot your Battlegrounds connection issues by disabling Windows Firewall. If you have a third-party antivirus software running, you likely won’t have to worry about Windows Firewall. However, you can check to see if it’s disabled by heading to your start menu and locating the “Windows System” tab once more. Next, select Control Panel, System and Security, Windows Firewall. On the left, you’ll see an option to turn Firewall on or off. Additionally, you can add an exception for Battlegrounds. Your method of choice depends on preference. If one fails, you can always try the other option. Note that you should be allowing the “TsIgame.exe” and “BEService.exe” game files. Double-check your antivirus software. This method will depend on the antivirus software you’re using, but you may be able to remedy some of the Battlegrounds issues you’ve been experiencing by setting Battlegrounds as an exception. Use Google Public DNS, but ONLY if you know how this option works from top to bottom (https://developers.google.com/speed/public-dns/). Experiencing a “BattlEye Won’t Launch” error message? If so, you’ll want to head to “services.msi” and manually launch BattlEye. To do this, first open your start menu and search for “services.msc” before pressing enter to launch the program. Next, you’ll see a services local menu where you can scroll and find the “BattlEye Service.” On the left, you’ll see an option to start the service which you can click to manually start the program. If you get a runtime error when launching Battlegrounds, be sure to go to the Microsoft Support website and install the update for Universal C Runtime in Windows (https://support.microsoft.com/en-us/help/2999226/update-for-universal-c-runtime-in-windows). If you experience the .NET Framework 3.5 pop-up, you can troubleshoot it by opening your start menu and entering “Run.” Next, type “appwiz.cpl” in the command box and press enter. In the Programs and Features window, click on the link that reads, “Turn Windows features on or off.” Look to see if the .Net Framework option is available. If so, enable it and click “OK” before restarting your PC. You can find additional troubleshooting options on the official Battlegrounds forums. As of right now, Battlegrounds is in Early Access and as such, it’s unoptimized. This can cause a variety of problems from lag to connection errors. By running through some of the troubleshooting options above, you should now have a better grasp on how to fix connection issues in PlayerUnknown’s Battlegrounds.